E3 has been kind of a strange thing for me these past couple of years. In the past, I used to keep a much firmer gaze on its goings-on, watching with baited breath to see what new and exciting goodies awaited us gamers in the months to follow. Yet, both E3 2017 and E3 2018 have been shows that I haven’t followed super closely while they’ve been going on, perhaps because lately I’ve just been unable to invest as much time into gaming as I once was able to. Well, hopefully that will change soon. Nonetheless, this year’s E3 seems to have been a pretty exciting one no matter what type of gamer you are, as there seems to have been something for everyone this time around. 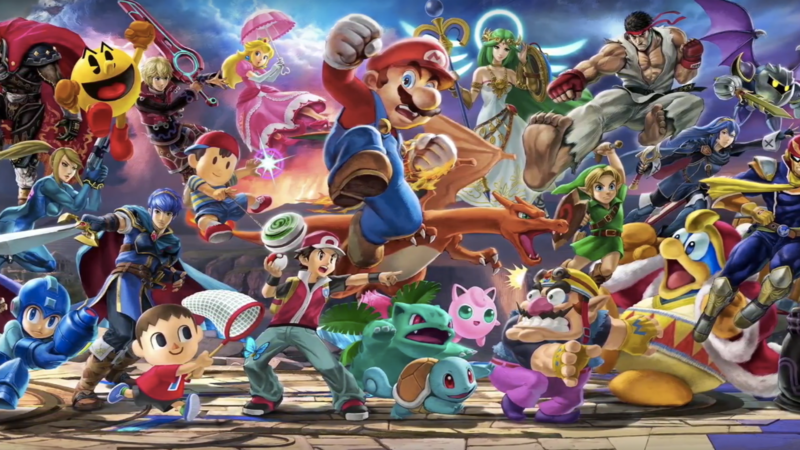 From Nintendo finally giving us details on Super Smash Bros. Ultimate, Microsoft hinting at the next generation of Xbox consoles being on the not-too-distant horizon, and getting to see some incredible footage from the likes of Fallout 76, Assassin’s Creed Odyssey, The Last of Us Part II, and several others, the next year or so looks to be a fantastic time for gamers of all styles. I will say this, though: I actually expected a lot more of Nintendo at E3 this year. This was the second E3 event since the release of the wildly successful Nintendo Switch console, and I expected to see a lot more games get announced or be given new details. Of course it’s hard not to be excited about Super Smash Bros. Ultimate and the upcoming Super Mario Party, but where was Metroid Prime 4? What about this mysterious 3DS Zelda project we’ve been hearing rumors of for a while now? What about some more ports or updates of the other successful Wii U games out there (I’m looking at you, Super Mario Maker!). It’s not that Nintendo was disappointing this time around, it’s just that I felt a bit underwhelmed by them this year. Then again, they could be saving a few things for post-E3 to surprise us with (some Super Mario Odyssey DLC would be nice!). Only time will tell! Beyond the games I’ve already mentioned here, I’m also curious to find out more about Cyberpunk 2077 (from CD Projekt Red), Death Stranding (that game still looks so weird, yet awesome), and Kingdom Hearts III. Then there’s also the upcoming DLC for Xenoblade Chronicles 2 that I’m looking forward to (I have the main game, but haven’t jumped into it quite yet). Oh, and I’m also super excited about Mega Man 11, since that’s one of my favorite franchises of all time! On the PC gaming side of things, I’m honestly more curious to see what type of new graphics cards we’ll see in the near future from NVIDIA and AMD, as the current offerings are getting quite old these days, but from the looks of it we may have to be patient before we learn anything official. Well, that about sums up this year’s E3 from my perspective. It was a surprisingly robust show this time around that seemed to have a lot to offer. I may have been slightly underwhelmed by Nintendo’s presence there, but I’ve learned that good things come to those who wait. And, in the case of all the different games we did learn about this year, we have plenty of things to look forward to! Read all of Nerdy but Flirty’s E3 2018 thoughts here!